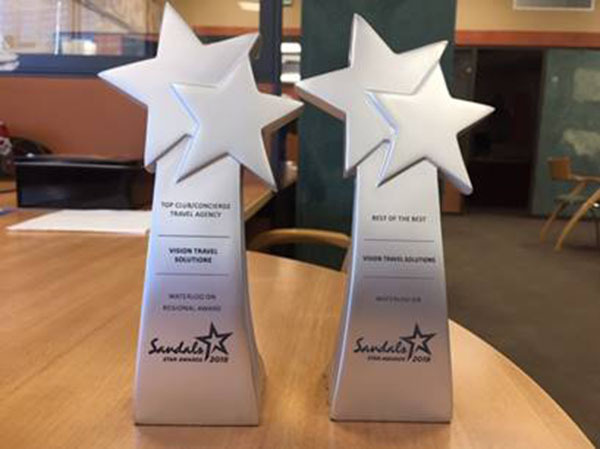 The Vision Travel office in Waterloo, ON, recently received two awards from Sandals – a ‘Best of the Best’ award for making over 75 bookings and the award for being the highest seller of Club/Concierge accommodation in Ontario. The awards were originally announced last DEC at the Sandals Star Awards in Ocho Rios, but were just recently delivered to the office by Sandals BDM Robert Smith. 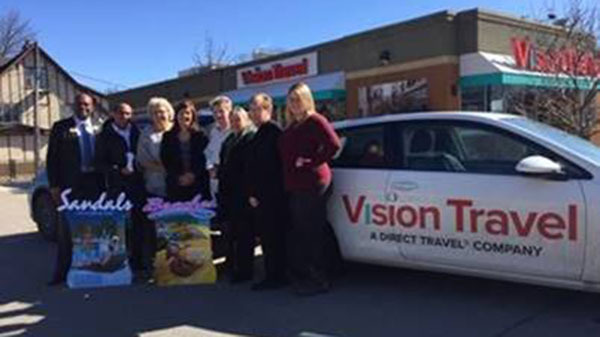 Photo (L-R): Robert Smith, Sandals BDM, and Vision Travel advisors Carlos Mayo, Cheryl Gameson, Ramona Mitchell, Elizabeth Lakic, Sandy Willett (branch manager), Nellie Follings and Victoria Lindley.